Shattering the widespread misconception that sports and politics don’t mix, this film shows how professional sports have long been at the center of some of the major political struggles of our time. Celebrated sportswriter Dave Zirin takes us on a fascinating tour of the good, the bad, and the ugly of sports culture, tracing how sports have glamorized militarism, racism, sexism, and homophobia, then excavating a largely forgotten history of rebel athletes who stood up to power and fought for social justice beyond the field of play. The result is as deeply moving as it is exhilarating: nothing less than an alternative history of political struggle as seen through the games people have played. 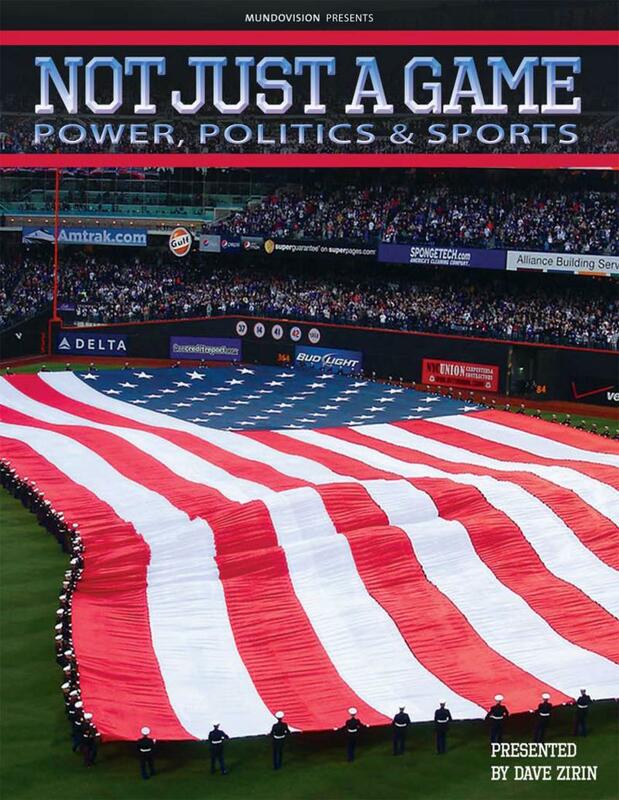 This is must viewing for political people who hate sports, and sports fans who hate politics. Dave Zirin is the bestselling author of five books, the sports editor of The Nation magazine, and the host of Sirius XM Satellite's popular weekly show, Edge of Sports Radio. His blog The Edge of Sports is read each week by thousands of people across the country. He is also a columnist for SLAM Magazine, The Progressive, and Sports Illustrated online, and his writing has appeared in numerous other publications, including the Los Angeles Times, the Washington Post, the New York Daily News, and the San Francisco Chronicle. Zirin has also brought his blend of sports and politics to multiple television programs, including ESPN's Outside the Lines, MSNBC's Countdown with Keith Olbermann, MSNBC's Morning Joe, MSNBC's The Rachel Maddow Show, and Democracy Now with Amy Goodman. His latest book, Bad Sports: How Owners are Ruining the Games We Love - which Naomi Klein described as an "original and scathing look at how America works" - has just been released from Scribner.